1/ Summer is too warm. Big parts of Spain have a 12 month climbing season as long as you search for high altitude areas, like Cavallers, and stay in the shade during July and August. Rodellar is also a popular summer destination thanks the shade given by the steep walls and the relative high altitude of the area. This said, if you can choose, consider going to Northen Norway or the Alps instead of Spain if you only can travel during the summer months. 2/ Fall and spring is perfect. Warm during the day and cold enough to make sleeping easy during the night. 3/ Winter is also a very, very good climbing time in Spain! A majority of the walls are south facing and capture the sun. The Siurana & Costa Daurada-area as well as the Lleida-area are famous for this. The south face of Montserrat offers some excellent climbing during the winter months as well. And that is only in Catalonia in the north east of Spain! In the south, in Andalusia, the famous climbing area El Chorro is an excellent choice. REMEMBER: It gets very, very cold at night during winter! The days are short so camping is quite the struggle. When you book your accommodation, please make sure that it has heating. All in all, given the fantastic Mediterranean climate that the east and south coast of Spain enjoys, this means that we are lucky enough to just assume that we can be able to climb whenever we can and want to climb. For me, who grew up in the north of Sweden, this is simply amazing. 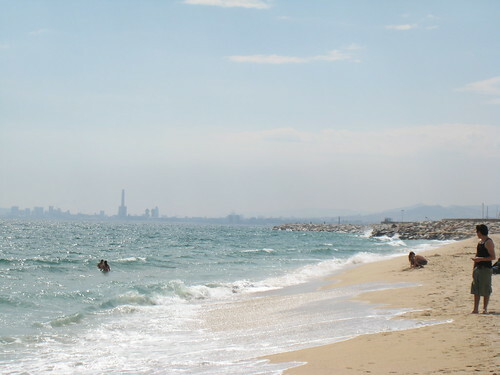 Julia, another ex-pat here in Barcelona, wrote very well about why she really like it here.